High Park is a gorgeous escape in Bloor West Village, easily accessible from the High Park subway station on the Bloor line. In the summer, it’s perfect for riding bikes, running, and feeding the ducks on the pond. I’ve biked the paved paths many times this summer and enjoyed a few good runs. However, today I traveled off the paved path and discovered the perfect landscape to truly escape the big city and fall back in love with autumn. 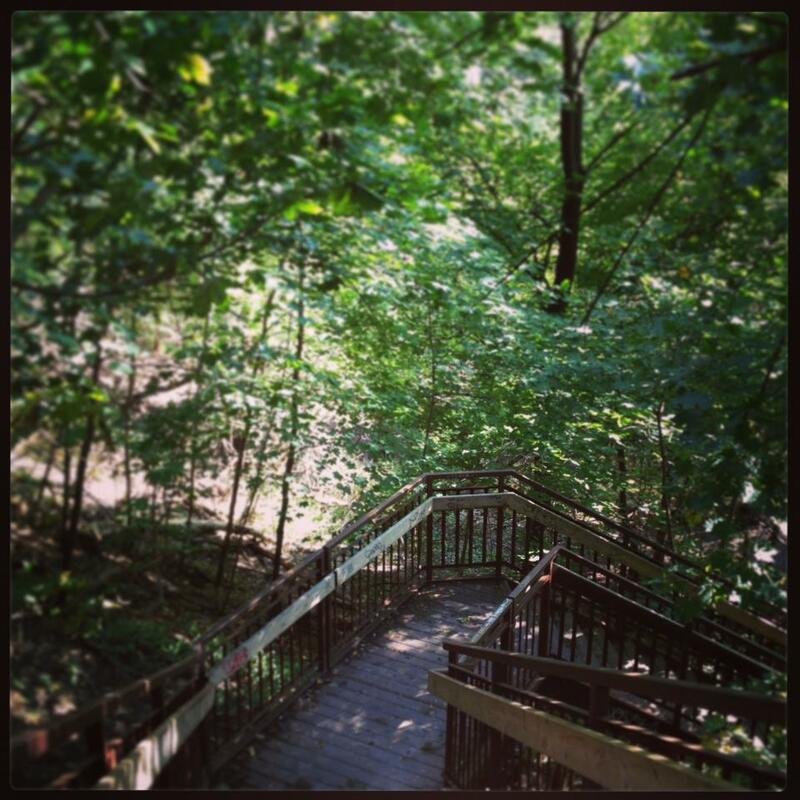 I began my walk with the hidden staircase off the West side of the park on Bloor St. West. Walking down, I immediately began to feel relaxed. It’s as if I had magically escaped the city unnoticed for an hour. While strolling along the paths, I came to realize that this was perhaps more than just my own escape. I didn’t see many groups but instead lone soldiers. Maybe they were people who just needed some fresh air, or maybe they were simply searching for a moment of peace in such a busy city. 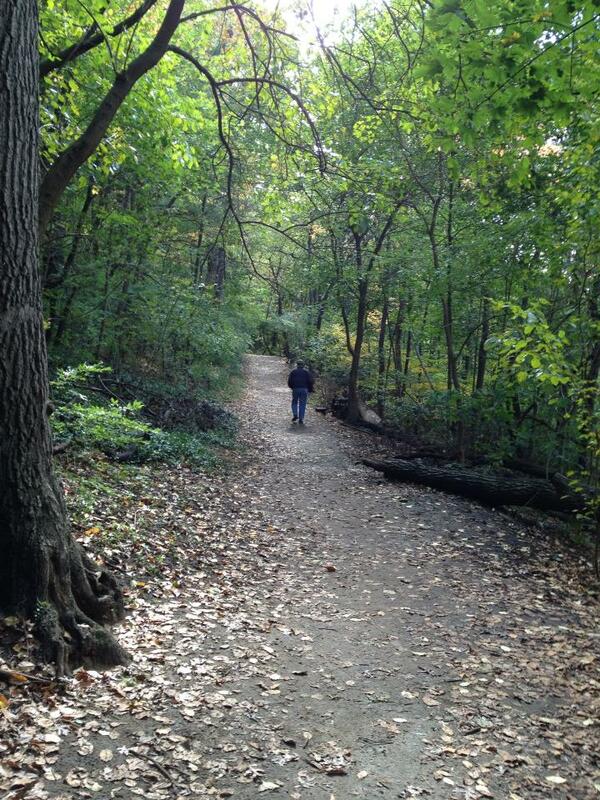 High Park is like the city’s “pause” button. The beauty, the trees, the quiet and the solitude put me into a headspace that I rarely allow myself to find during my daily grind. I often find myself always needing to be “on”: Ready to make the next move or the next 20. But at that moment, as the leafs crunched under my feet, and the wet but fresh aroma of fall filled my nose, I wasn’t “on.” I just was. I wanted to appreciate every little colour, every sound and every bird. At one point, I found myself at a fork in the road…literally and figuratively. I could either continue on the path I was on: The one that I could predict where it was going, whom I was going to meet, and where it would lead. OR I could take the path that seemed a little less clear but offered potentially a whole new perspective of the park. A metaphor for my life perhaps? I picked my path and continued to enjoy another 40 minutes of peace and fresh air. 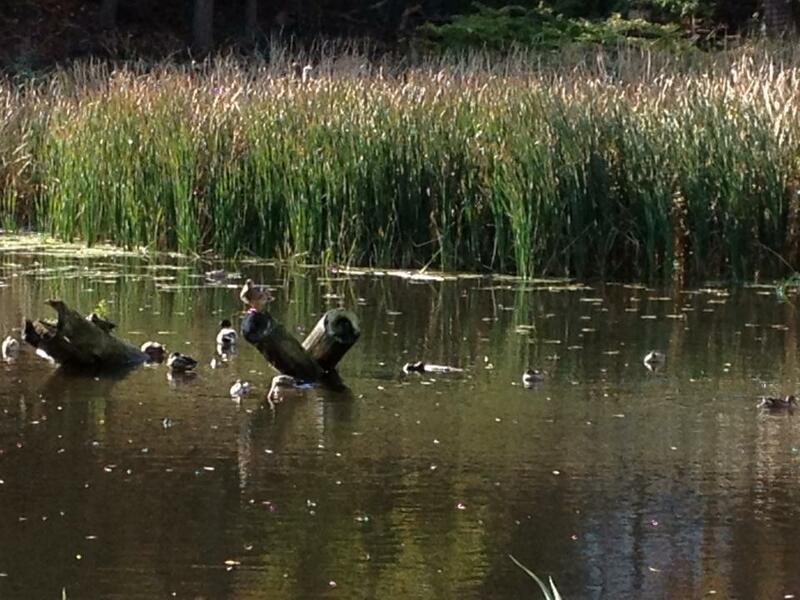 I still found the duck with a pond, but saw it from a whole new perspective. I think I found my new home away from home. So it seems I felt a little more poetic today than sarcastic. Here is a video of the song that accompanied my stroll. I love Mumford and Sons. Swooon for banjo! This entry was posted in Commentary, Outdoors, Randomness and tagged High Park, Parks, Strolls, Toronto, Torontonowhere, Walks by hollypost. Bookmark the permalink.